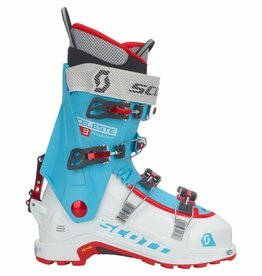 The Scarpa Freedom SL 120 Women's boot kept its all-mountain multipurpose qualities but is now a little lighter than the previous model. Built with a women's specific last, it still comes with a 120° flex index for better comfort and performance on both the ascent and thee descent. Additionally, the Advanced Injection Technology allow better torsional power transmission and reduced weight. 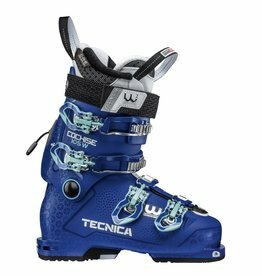 Finally, because the soles are interchangeable, the Freedom SL 120 are compatible with every kind of bindings: TLT, AT and Alpine, making this boot the only pair you need. Advanced Injection Technology: reduces weight and adds torsionally rigid power transmission. 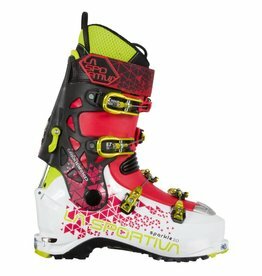 Optional interchangeable Vibram® Mountain Piste sole so the boot is compatible with every alpine bindings. Pebax Rnew® shell: Ultra-light, high-performance and environmentally friendly.